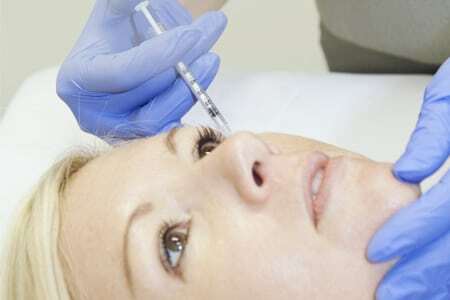 Duration of result: 6 to 18 months depending on the type of filler used. With the support of her dedicated team, Dr Joanna Teh provides non-surgical nose-filler treatments to clients from across Perth. 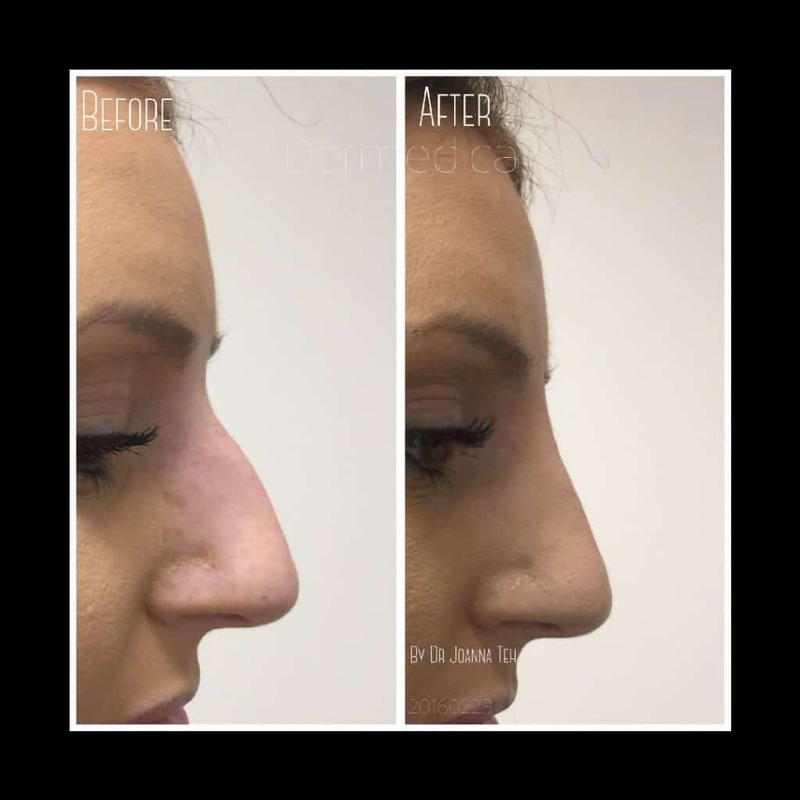 Non surgical nose enhancement can be a suitable corrective treatment for individuals who have a ‘hook’ nose, to ‘realign’ a slightly deviated nose bridge or to fill a low nose bridge. While individual results may vary, you can rest assured you are in highly experienced and very caring hands throughout your treatment. Don’t like the look of your nose in photos? 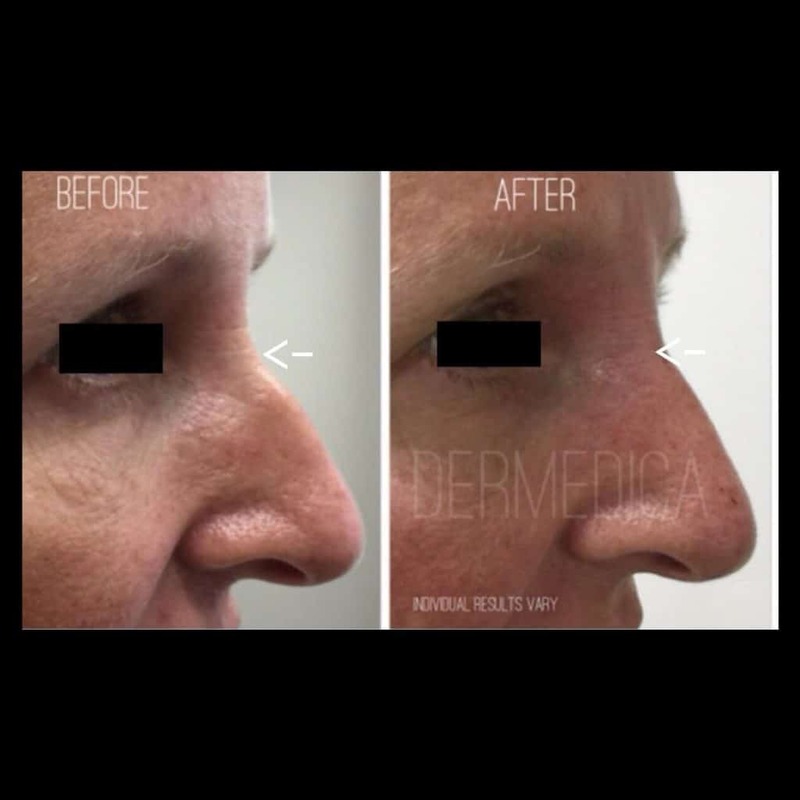 If you’re uncomfortable about the look of your nose, treatment at Dermedica can provide a solution without the need for painful surgery. The outcome will be a natural look, with minimal downtime and discomfort. This affordable treatment delivers long-lasting results which will allow you to step out with confidence. Dr. Teh has worked with many patients on their nose enhancements over the last 16 years. Her experience, warmth and professionalism have earnt her the trust and loyalty from many clients. When you visit Dermedica, you can expect a natural result and a safe outcome from your treatment. This lady did not like her hooked nose. In less than 30 minutes with minimal discomfort, Dr Teh has transformed her nose. The photos is taken immediately after the treatment. No surgery! No bruising! This Asian lady thought her nose bridge was too low set and wanted to adjust it but she was afraid to have rhinoplasty. Dr. Teh performed a filler treatment to build her Asian nose to reveal a sharper, taller slimmer looking nose. This man did not like his hooked nose. He does not want to have surgery. Dr Teh used a special filler to straighten his hooked nose. Now he has a better nose profile. This lady wanted to correct her hooked nose. After a thorough discussion with Dr. Teh about her options, she decided to have a nose filler to lift the nose bridge. She was amazed by how this lunch time procedure has transformed the profile of her face. Immediately after the treatment she was surprised by the instant results and said she needed time to “get used to the new improved look”. What is a non surgical alternative to a nose job or rhinoplasty? Who is suitable to have non surgical nose enhancement? 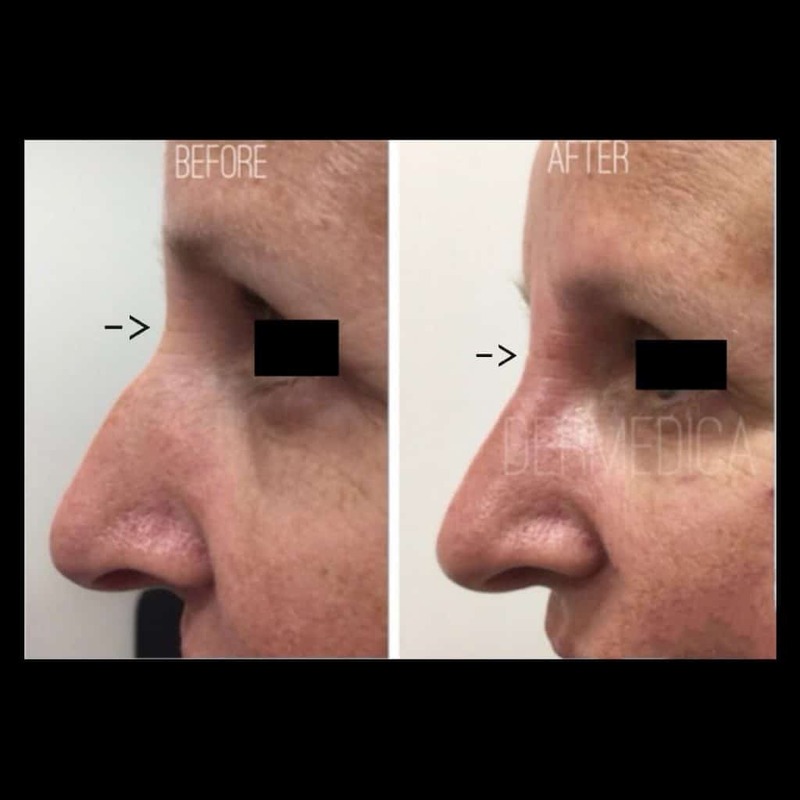 What type of fillers are used for nose enhancement? Will my nose look fake after the nose enhancement treatment? Is nose enhancement suitable for me? How long does the non surgical nose enhancement last? Is there any downtime required after a nose filler procedure? Is there any pain involved with non-surgical nose enhancement? Are there any side effects with the non-surgical nose enhancement? 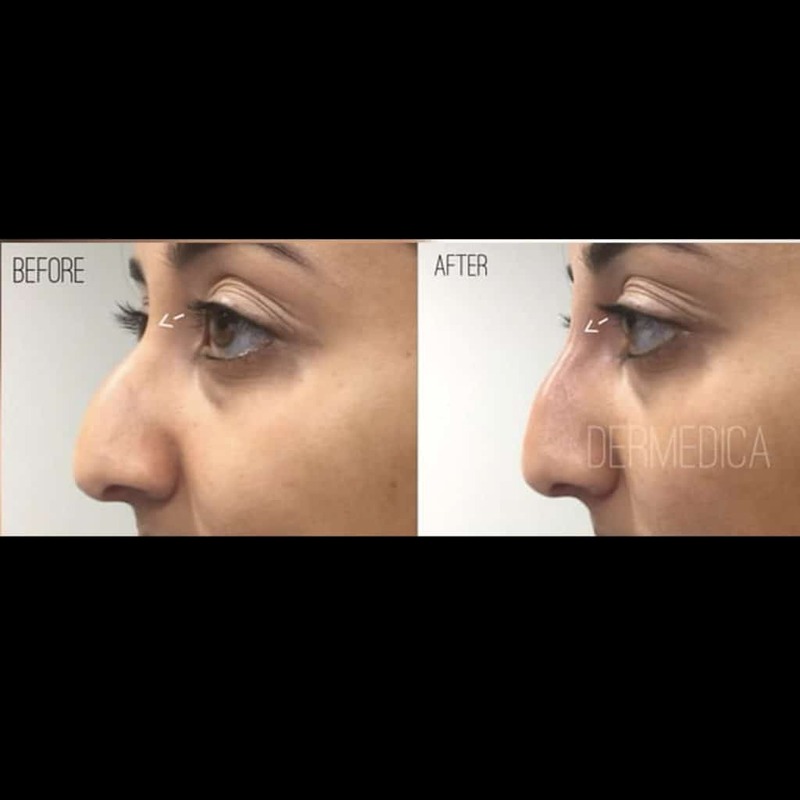 What are the benefits of having a non surgical nose enhancements at Dermedica? 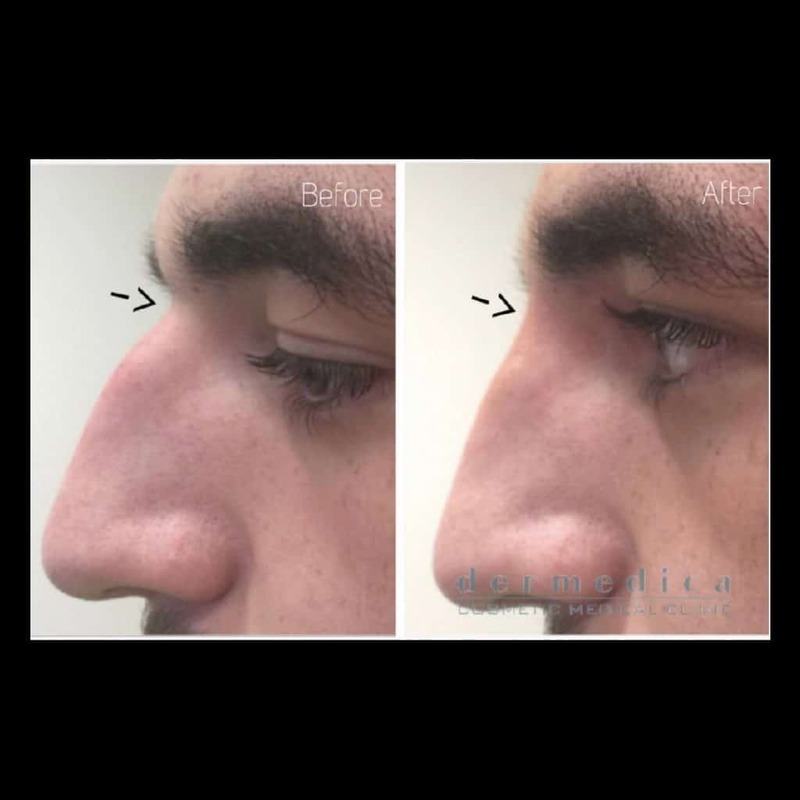 Why choose Dermedica for your nose enhancement? A non-surgical nose job involves using fillers strategically placed in the nose to smooth out bumps and create a look you are more comfortable with. 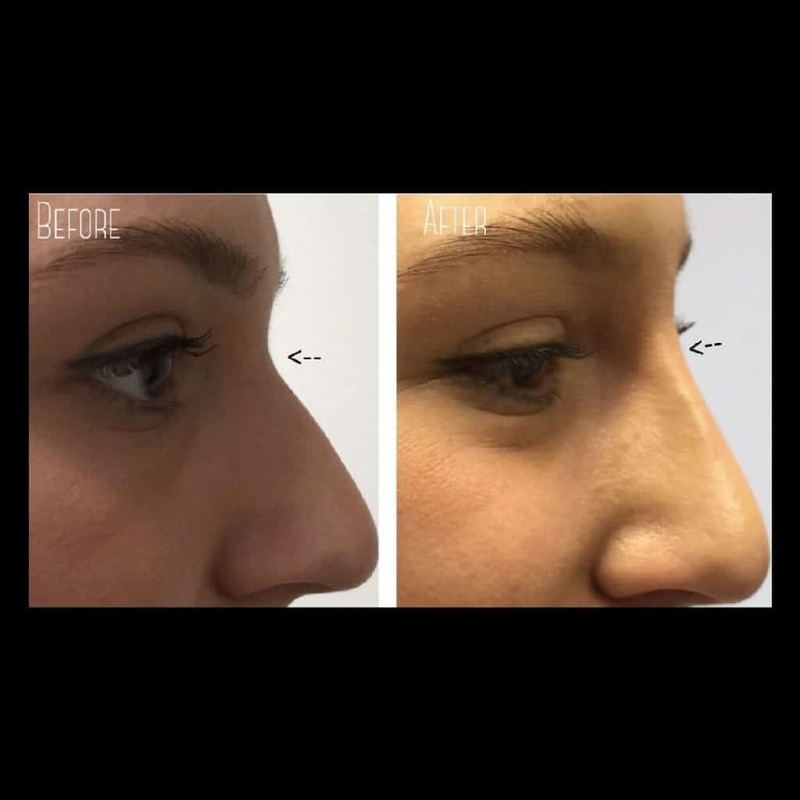 Non surgical nose enhancement is only suitable to correct hollows on the nose e.g. a hook nose, a slightly deviated nose bridge or a low nose bridge. It will not reduce the size of your nose. If you feel that your nose is uneven or needs reshaping and you are unsure about cosmetic surgery, talk to us about your non surgical nose enhancement options. There are various types of nose filler, from soft hyaluronic gel to a firmer calcium base filler. For clients who are anxious and uncertain about the look they’ll get, it is possible to ‘trial’ the soft reversible filler. Once you are confident this is the look you want, we will discuss using the calcium base filler. Dr. Joanna Teh is known for her artistic eye and has spent many years refining her technique. She will carefully assess your features to give a very natural look. Dr Teh specialises in Asian noses as well as correcting and disguising ‘bumps’ on the nose. Some clients are not suitable for these treatments. If upon consultation you are not suitable, you may be referred to a specialist. While results can last for months, they will vary from person to person. In a small number of cases the result can last less than 6 months. Contact Dr Teh at [email protected] or call 92051995 to find out the duration of effect. Most people return to work on the same day as their treatment with a natural looking but enhanced nose shape*. There will be individual variation in the recovery period. Dr. Teh goes to great lengths to ensure the process is as comfortable as possible by using a strong numbing cream. Expected side effects from the insertion of the needle or cannula may include bruising and swelling (it is usually mild)*. A rare but important risk to consider when using fillers for nose enhancement is vascular compromise and scarring. This is due to the filler inevitably blocking the arterial supply to the skin. The risk of blocking the circulation increases if you have had previous nose surgery due to scar tissue and altered blood supply. *As with all medical procedures, individual experiences will differ. It is important to have a thorough discussion with an experienced cosmetic doctor to assess the risks and side effects. Dr. Teh has handled many nose enhancements over the last 16 years. Her experience, warmth and professionalism have earnt her the trust and loyalty from many clients. She has fine-tuned her injection technique to ensure you get a natural result and more importantly a safe outcome.